During Influenza season it’s important to keep you and your family protected against the ‘flu’ by getting vaccinated. As the flu is highly contagious, flu prevention should be taken seriously. Flu is an unpleasant and potentially life threatening illness for the young, frail and the aged. Have you ever missed work as a result of having the flu? Do you care for people aged 50 or older, or younger children? Do you work in the health care industry? 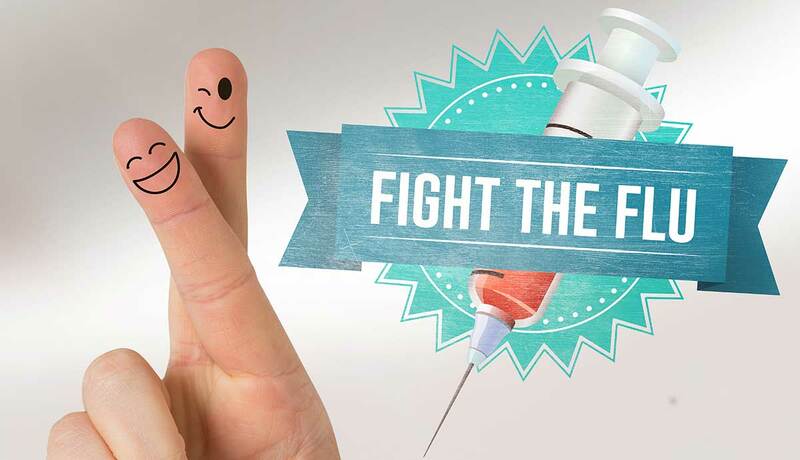 Do you have any concerns about getting the flu vaccine? When Will The 2017 Flu Vaccinations Be Available? This year’s flu vaccinations have now arrived and are available at all Ubuntu Medical. Yes. The strains of flu virus can change from year to year. The vaccine may also change to protect against the most recent flu virus strains. Even if the flu strains do not change, a yearly vaccine for influenza is still recommended, as immunity from flu vaccination is not long lasting. At Ubuntu Medical we offer the Quadrivalent Vaccine. It provides the highest level of protection against the flu. There are public and private Quadrivalent vaccines available. The public vaccine is provided free of charge by the Government for specific groups (see below), while private vaccines will be available for purchase at Ubuntu Medical. Some Doctors may also charge a consult fee for private flu vaccination appointments. Flu Vaccination Performed By A GP vs Chemist? It is good medicine that you have your yearly flu shot administered by your Brisbane GP as they have your medical history, can keep a record of your vaccinations and discuss any medical concerns with you in a private setting. Common Symptoms Of The Flu? If you or your loved ones experience any of these symptoms this flu season, please see your doctor. Further health problems can develop in some people after flu infection including pneumonia, heart, blood system and liver complications, which can lead to death, especially in children and older people. At Ubuntu Medical, we also have Child Care.